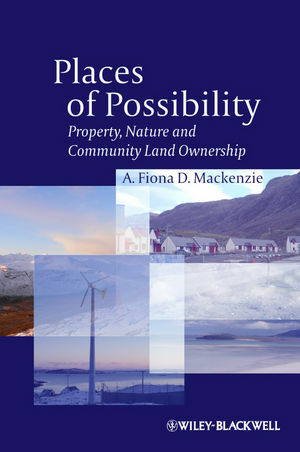 Through original research conducted in the Outer Hebrides, Scotland, Places of Possibility shows how community land ownership can open up the political, social, environmental, and economic terrain to more socially just and sustainable possibilities than private ownership. A. Fiona D. Mackenzie is Professor Emeritus in the Department of Geography and Environmental Studies, Carleton University, Ottawa, Ontario, Canada and Honorary Professor, University of the Highlands and Islands. Professor Mackenzie has carried out in-depth qualitative research on the Isle of Harris, the Outer Hebrides, and is the author of Land, Ecology and Resistance in Kenya, 1880-1952 (1998).